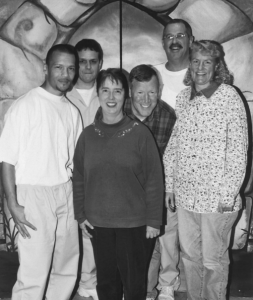 The OFPLM, Inc. ministry was begun in 1995 through Debbie Carver’s visitation in Trenton State Prison. She also is involved in teaching women’s Bible studies once or twice a week at the Freehold and Middlesex County Jails. OFPLM’s ministry is three-fold: reconciliation to Christ, reconciliation to families, and reconciliation to society. The ministry purposes to change lives through visitation, encouragement, communication, giving vision, and giving hope.